Beginners Guide To Fly Tying & Kit Of Materials - Top two selling items combined to SAVE you money! Beginners Guide To Fly Tying & Kit Of Materials, materials in this kit have been sourced to compliment the book and has enough of everything, including hooks used to tie any of the patterns, it gives an excellent insight into all the bits and pieces which make Fly-Tying such an absorbing craft. Wing Materials - Elk Hair. Natural Bucktail. Grey Duck Quills. Golden Pheasant Tippet Feathers. Turkey Marabou Plumes. Krystal Flash. Natural Cul-De-Canard Feathers. 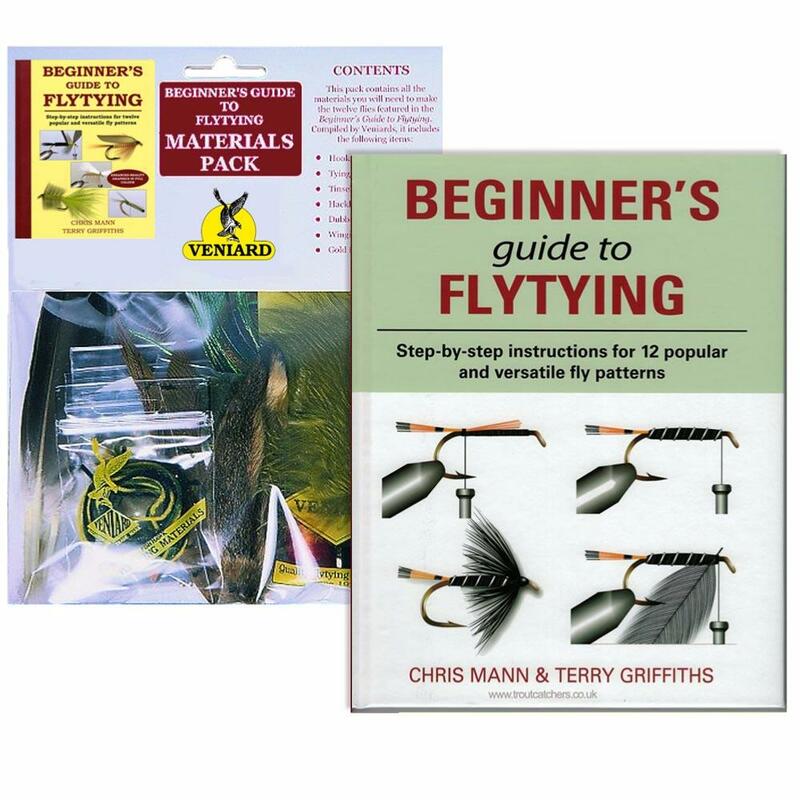 The above will contain all the materials you will need to make 12 flies featured in the Beginners Guide To Fly Tying By Chris Mann & Terry Griffiths book. 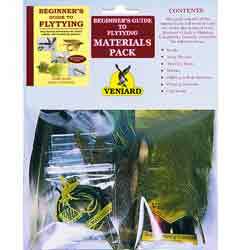 Note - the" Beginners Guide To Fly Tying & Kit Of Materials" does not contain any fly tying tools. Recommended. Tying Vice. Fine Scissors. Stout scissors. Spigot Bobbin holder. Hackle pliers. 2 x dubbing needles. Hair stacker. Dubbing Twirler. 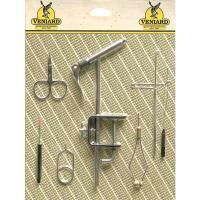 (all these items can be purchased from the Troutcatcher website) Or to make it easier this the Veniard Beginners Tool Kit is highly recommended. 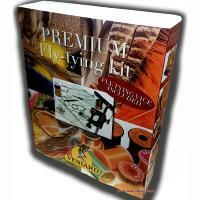 Beginners Guide To Fly Tying & Kit Of Materials just one of a large range of Fly Tying Kits available. Good book, but still need to buy some extra matierials I didn’t think I would have to. It very simple learning to tie. Brilliant starter for ten, but I'm not sure some of the illustrations match materials. Limited hook sizes. Not much good if your main interest is going to be dry flies. I've tied the Black Pennel and Pheasant tail nymph and very pleased with results. Great selection of materials for price. 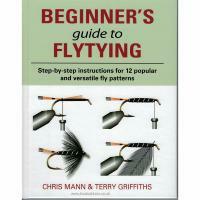 Perfect for a novice, clear instructions and all the materials to make really useful set of flies. Looks good for our grandson to start tying.